“When you get involved, you feel the sense of hope and accomplishment that comes from knowing you are working to make things better." 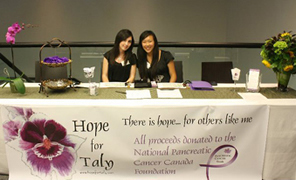 Each year, individuals whose lives have been affected by pancreatic cancer connect with us in efforts to make a difference in the fight against pancreatic cancer. Some individuals create a tribute page to honour a loved one. 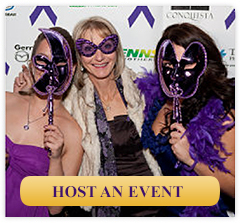 Others create personal fundraising pages or host an event to honour a loved one. Turn any activity into a fundraising opportunity; just let your imagination run wild. From bake sales, to head shaves to golf tournaments – the possibilities are endless! 1. Choose a fundraising activity that inspires you. Need some ideas, check out our list below. 2. Start by creating your own DIY online fundraising page. The process is simple. 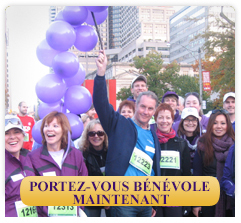 Set your fundraising goal, register and you’re on your way to fundraising success! Remember to customize your page with a favourite photo and personal story. 3. Tell everyone! 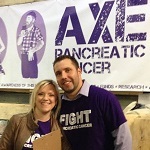 Spread the word about your fundraiser and why you're committed to making a difference in the fight against pancreatic cancer. Monitor your site and watch your fundraising thermometer rise with each donation. Get your company to allow a 'Jeans Day or Week' - employees can wear their most comfortable jeans by making a donation to your fundraising page. We have Casual Day stickers.